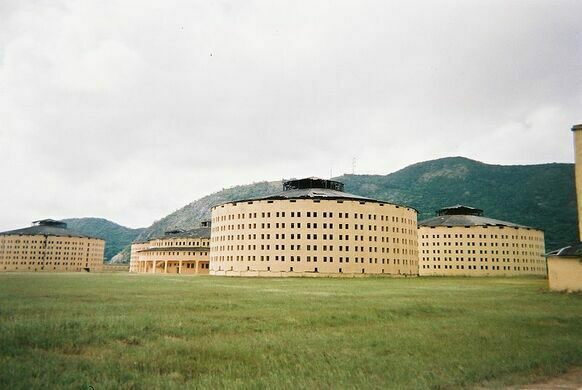 A series of five defunct panopticon prisons in Cuba. Built between 1926 and 1928, the Presidio Modelo was designed to be a model prison by President-turned-Dictator Gerardo Machado. Each building is a circle of prison cells surrounding a center watchtower. The idea behind the design was that the watchtower would be darkened making it impossible for the inmates to tell if they were being watched. This would cause a sense of invisible omniscience. 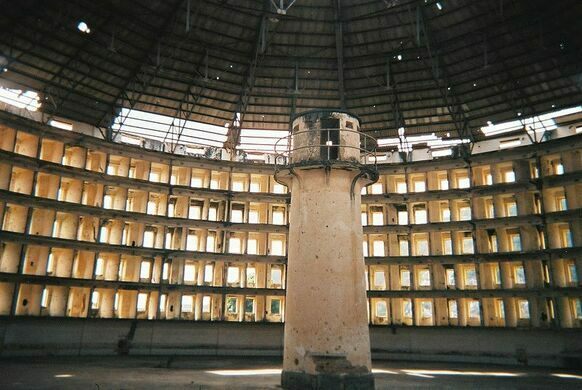 Fidel Castro, his brother Raul, and other survivors of the rebel attacks on Moncado Barracks were housed in these particular panopticons, which were designed to hold up to 2,500 prisoners. With Castro’s rise, the Presidio Modelo was used to hold political dissidents, homosexuals, Jehovah’s Witnesses, counter-revolutionaries, and any other “enemies” to the dictator. The population quickly ballooned to more than 6,000 inmates. Riots broke out in the prisons in 1961 due to overcrowding, and in 1966 they were permanently closed by the Cuban government. Today, the buildings remain open as a museum and national monument. The old administration building functions as a school and research center. An abandoned colonial French prison notorious for its hellish conditions.